This Bible passage clearly tells us that three days after Jesus was nailed to the cross, He was resurrected. All our brothers and sisters who truly believe in God believe this fact and praise God’s almightiness in their hearts. However, what else can you see in regard to the fact of Jesus’ resurrection? From the Bible we can see that after Jesus was nailed to the cross, the Lord’s body was wrapped in fine linen and His grave was sealed with a big boulder. 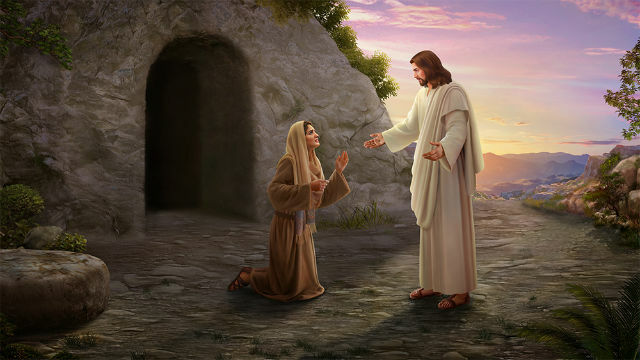 However, when some women came to apply spices to Jesus’ body, the boulder that sealed off His tomb was rolled off to one side and Jesus’ body was no longer inside. An angel said to them, “Why seek you the living among the dead? He is not here, but is risen: remember how he spoke to you when he was yet in Galilee, Saying, The Son of man must be delivered into the hands of sinful men, and be crucified, and the third day rise again” (Luke 24:5-7). From the angel’s words we can see that it was God that said, “The Son of man must be delivered into the hands of sinful men, and be crucified, and the third day rise again.” In the end, this is what God accomplished. This completely indicates that God’s words have authority and power. Whatever God says, it will be so. This is similar to when God created the heavens, the earth and all living things in the beginning. “God said, Let there be light: and there was light” (Genesis 1:3). Every living thing was created by God’s word. When Jesus was preaching, a single word from Jesus allowed the blind to see and the crippled to walk. One word and the winds calm down and the waves subside. One word and Lazarus, who had been dead for four days, resurrected. All these truths allow us to see that the authority of God’s word is incalculable and that God’s word represents God’s authority and power. We all know that Jesus came to earth in order to complete the work of redemption. In the later stages of the Age of Law, because man’s corruption was becoming deeper and deeper, because he was unable to adhere to the laws and because man’s sins were becoming more and more numerous, there was no sacrifice for one own’s sins. If this continued, man would face the life threatening danger of breaking the laws. Since the entire human race had been corrupted by Satan and fallen short of God’s glory, who would atone for man’s sins? Only God was able to save us humans. However, we were unable to ascend to heaven to take the sin offering. As a result, God incarnated and took on the likeness of sinful flesh and used the name “Jesus” to do His work. At that time, the Pharisees, in order to protect their own status, did all that they could to resist and convict Jesus. In the end, they nailed Jesus to the cross. Externally, it seemed that the Pharisees and the Roman government had nailed the Lord to the cross. However, in reality, it was God accomplishing His work. From man’s perspective, it seemed as if the nailing of Jesus to the cross was equivalent to the suppression of God’s work. Actually, God used the sinning hands of man to nail Himself to the cross in order to complete the work of redeeming mankind. When Jesus was nailed to the cross, He said, “It is finished” (John 19:30). This indicates that God’s redemption work had been completed and that the work that God wanted to do was done. Jesus was then resurrected! Doesn’t this show God’s wisdom? This allows us to plainly see that God’s wisdom is built above Satan’s schemes and that God’s wisdom is fantastic and unfathomable! These words open up the secret of incarnation to us. Externally, Jesus looks like an ordinary person. However, spiritually, He is the God of heaven and the Creator of all things. God’s incarnation is essentially God embodying flesh and coming to earth to do His work. Therefore, the truth of Jesus being nailed to the cross and resurrecting is the revealing of the Lord’s spirit to man and not what we imagine as the death of Jesus on the cross. Some people perhaps say that it is recorded in the Bible that after Jesus was baptized in the Jordan river, there was a voice from heaven that said, “This is my beloved Son, in whom I am well pleased” (2 Peter 1:17). Moreover, Jesus called the God in heaven Father. Doesn’t this indicate that Jesus is the son of God? If He is God Himself, how can He called the God in heaven Father? Don’t be worried, the following words explain this conundrum, “There are still those who say, ‘Did not God expressly state that Jesus was His beloved Son?’ ‘Jesus is the beloved Son of God, in whom He is well pleased’ was certainly spoken by God Himself. That was God bearing witness to Himself, but merely from a different perspective, that of the Spirit in heaven bearing witness to His own incarnation. Jesus is His incarnation, not His Son in heaven. Do you understand? Do not the words of Jesus, ‘The Father is in Me and I am in the Father,’ indicate that They are one Spirit? And is it not because of the incarnation that They were separated between heaven and earth? 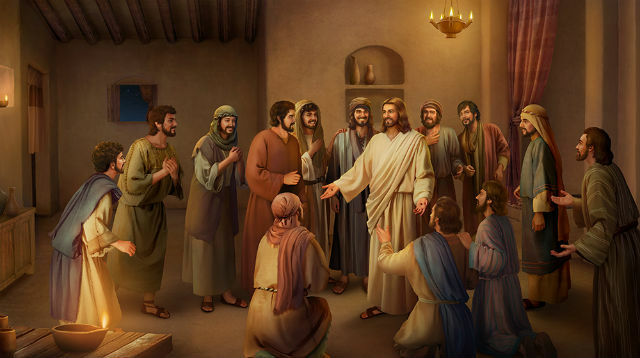 In reality, They are still one; no matter what, it is simply God bearing witness to Himself.” These words indicate to us that Jesus is the heavenly God. Since none of us recognized God when He became flesh, God spoke from the perspective of the spirit and bore witness to His own incarnation. When Jesus called the God in heaven Father, He was saying this from the perspective of the Son of man as well as the perspective of a creation addressing the heavenly God. In fact, Jesus is God Himself! Just as the Bible says, “but the gift of God is eternal life through Jesus Christ our Lord” (Romans 6:23). • What’s the Significance of the Lord Becoming Man’s Sin Offering?